Donald is the editor and creative director of Mr Modernist a curation of men's style, fashion & culture. The Details Style Syndicate features contributions from sites that our editors have identified as best of breed in fashion, grooming, tech, travel, design, food, and drink. 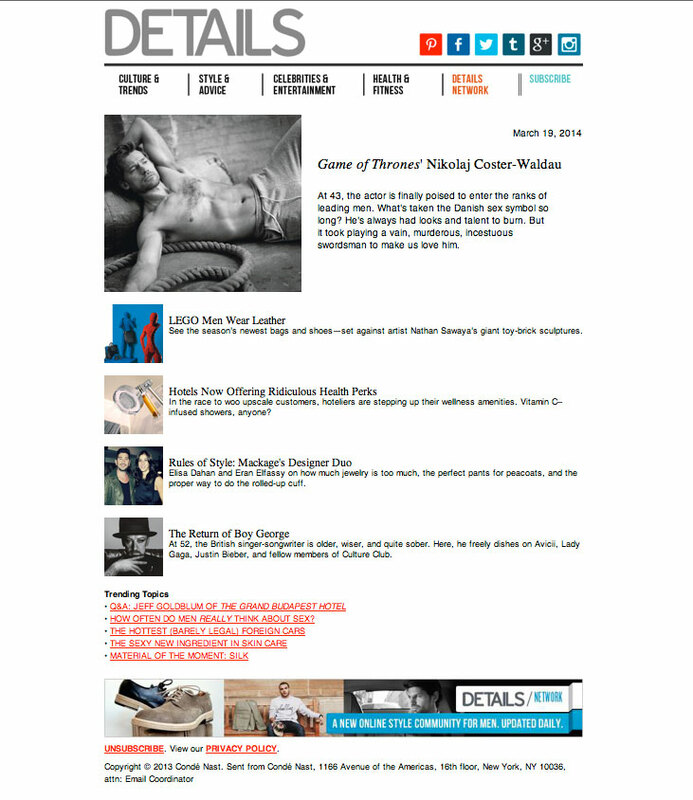 Get the latest from Details.com in men's style, grooming, diet, fitness and pop-culture trends every Wednesday. See Sample. 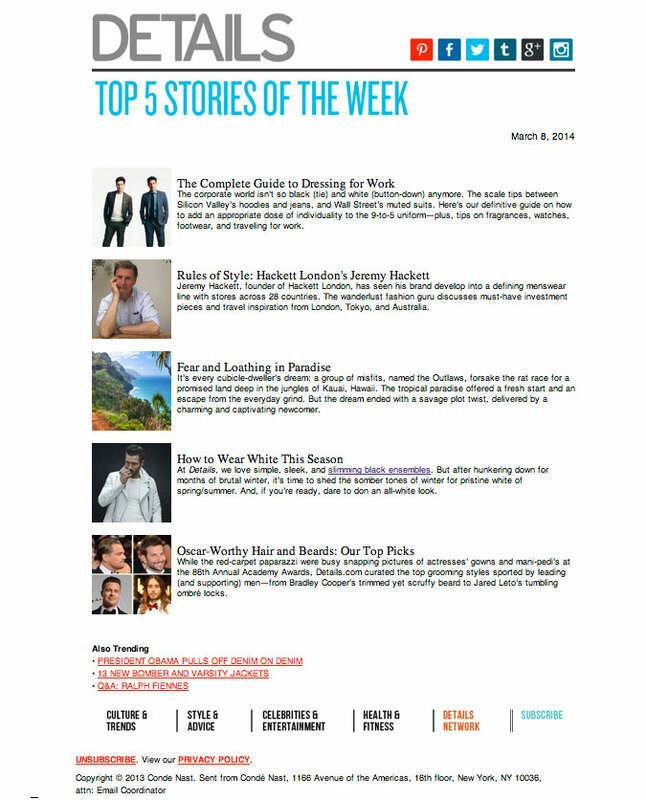 Get the most popular articles, blog posts, and slideshows of the past week every Saturday. See Sample.